Dave Cook created a great map of gastronomic highlights in Red Hook. 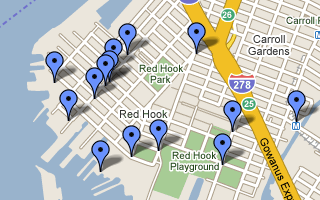 The map includes, among other things, a comprehensive description of what is on offer at the Red Hook ball fields. Whether you are heading to Ikea to shop for low-cost goods, or just want to explore the neighborhood, this is a great map to have in your back pocket when hunger strikes.